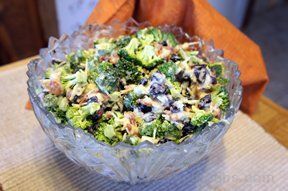 With a tasty combination of flavors, this broccoli salad is sure to become one of your favorites. 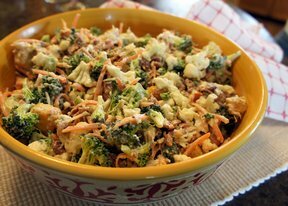 Friends and family won't be able to resist the mixed sweet and savory flavors of this salad. Fry bacon until crisp and crumble into pieces. 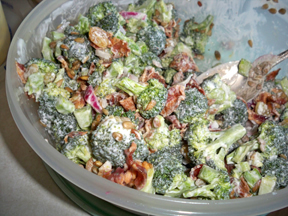 Combine broccoli, onion, and bacon in a large bowl for mixing; stir to mix. 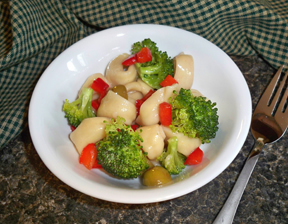 Mix dressing and pour over broccoli mixture; stir until evenly coated. Add raisins and sunflower seeds just before serving. Mix the mayonnaise, vinegar, and sugar together.